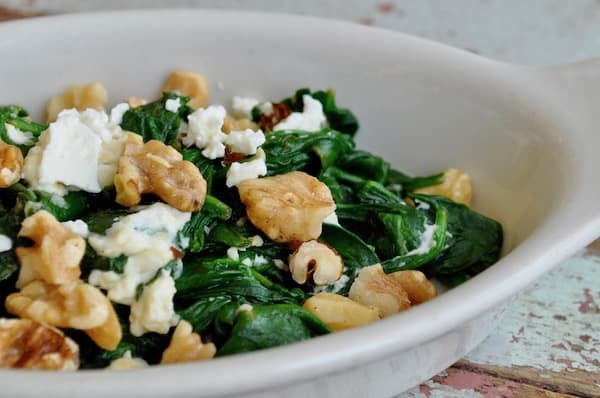 This recipe for Creamed Spinach with Feta and Walnuts is like all the deliciousness of Spanakopita without the fuss and carbs of phyllo dough. 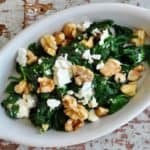 It’s like a Low Carb Creamed Spinach X Spanakopita side dish, perfect for a diabetic home, type one or type two! And it takes 10 minutes to make, not an hour or more which means you can make a low carb side dish while your steak is grilling. Since our youngest son was diagnosed as a very early stage type one diabetic I’ve started shifting our meals around a bit. I’ve been adding more veggies to choose from, more meats and often add a plate of fresh fruit and vegetables to the table to entice everyone into eating more fresh produce. We decided early on that we would support his diagnosis by making these sorts of changes so that everyone was eating the same meals and no one felt unduly charged with eating better food, while the rest of us indulged wholeheartedly in carbs. I have gone low carb and consume minimal carbohydrates because truly I need a diet reset and could stand to lose some weight. I’m also experimenting in a little gluten-free action to see if my psoriasis and eczema cleared up as well. I don’t expect anyone to follow me down this path, I love it, but it might make some people crazy to go without bread or pasta. This recipe is like my own personal keto creamed spinach; I love it. Low Carb Food Kids will Love! The problem with all of this lower carb/more healthy choices is the type one diabetic, he’s 11, and he likes his carbs. I’d go so far as to say he’s LOVES carbs, his idea of heaven is a pizza topped with mac and cheese, I know this, he’s ordered it before. So finding side dishes that aren’t carbs on top of carbs yet aren’t plain jane vegetables has been, how do you say that, a challenge. 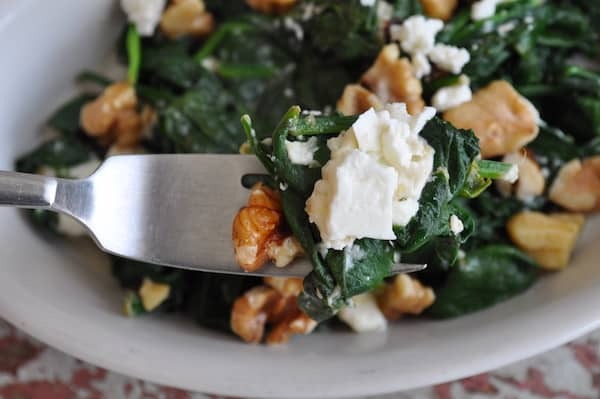 This recipe for Creamed Spinach with Feta and Walnuts is like all the deliciousness of Spanakopita without the fuss and carbs of phyllo dough. It's like a Low Carb Spanakopita side dish, perfect for diabetic home, type one or type two! And it takes 10 minutes to make, not an hour or more which means you can make a low carb side dish while your steak is grilling. I just discovered your blog (by a link from A Vintage Green) and find it a very pleasant read. Alaska is on my bucket list of places to visit. Have you lived there your whole life? It seems like a cruise in Alaska is the best way to see most of the terrific sights, however I do get seasick. So, I will need some research to see other ways of sightseeing. I also enjoyed your European travel posts. Europe is also on my travel list. I have been to England & Ireland 3 years ago; and this past December went to Hawaii. Such kind words-thank you! I was born here, yes!  We live in the Matanuska Susitna Valley north of Anchorage, near the shore but not the kind of shore you can play on the beach. Its all glacial silt and very dangerous, we have to drive couple hundred miles to get to a beach we can walk on. Cruises can be a great way to see Alaska but I think staying in Anchorage and making day trips to beautiful places is much less expensive but I could be wrong! Yum I love that dip! I adore feta too, in fact in our house we have this saying “everythings betta with feta” and it’s true!